today I ´d like to share my new card. 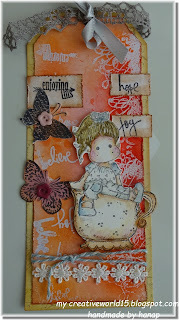 I chose Magnolia stamps Relaxing Tilda and Tea cup. 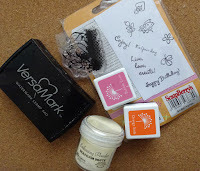 after heating the powder I used colourful embossing pads. This is a fabulous gift tag. Love your sweet Tilda and the design. 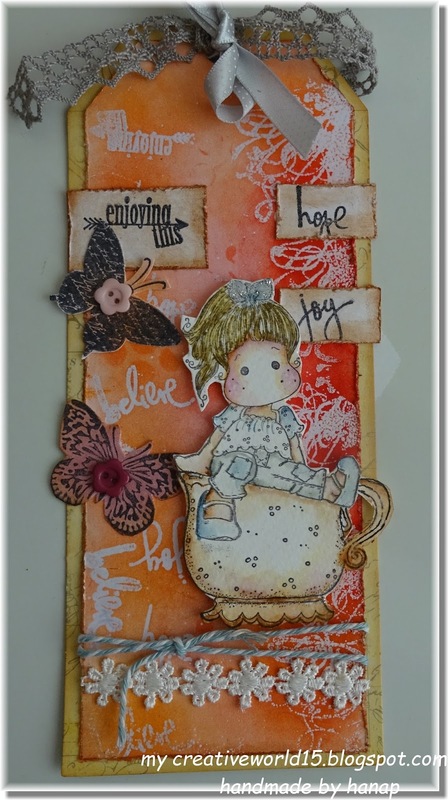 Thank you for sharing with us over at Magnolia-licious challenge. Good luck !! Nádherná kartička, přímo volá po jaru. A z Magnolky na hrnku vyzařuje velká pohoda. A také se mi moc líbí změněná úvodní fotka blogu. Lovely tag, Hana. Thank you for sharing it with us at Magnolia-licious.